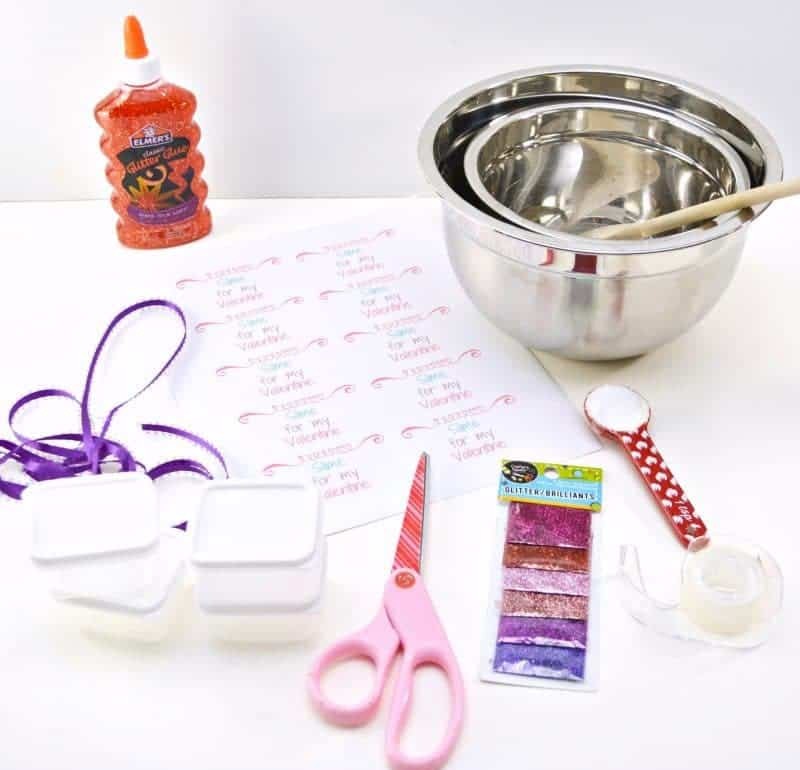 Make fun Valentines for the class with this easy DIY Valentine Slime recipe and these fun Valentine printable gift tags. These are perfect for the kids to give out to their classmates or friends this Valentine's Day! The slime fad comes and goes, but has recently been extremely popular. From kids making slime on YouTube to companies selling kits to make your own slime – slime is truly the “it” thing right now. 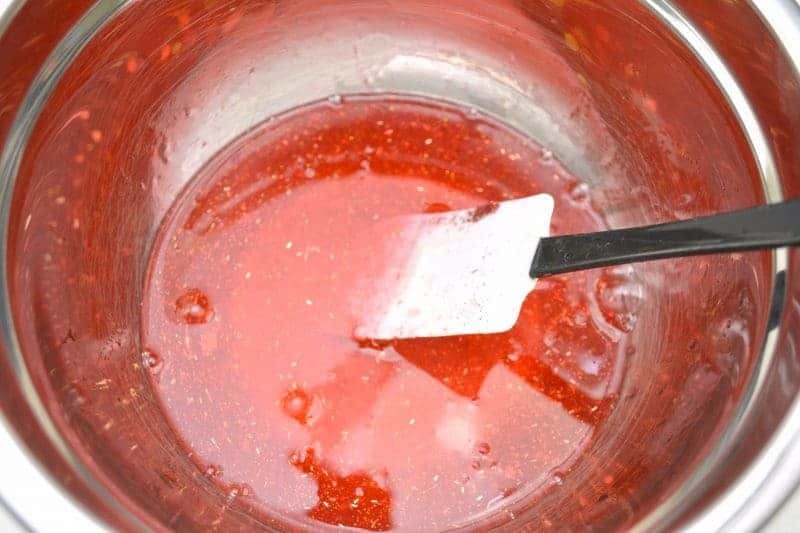 Why not let your kids have fun with it and make their own homemade Valentine slime for their special Valentines? 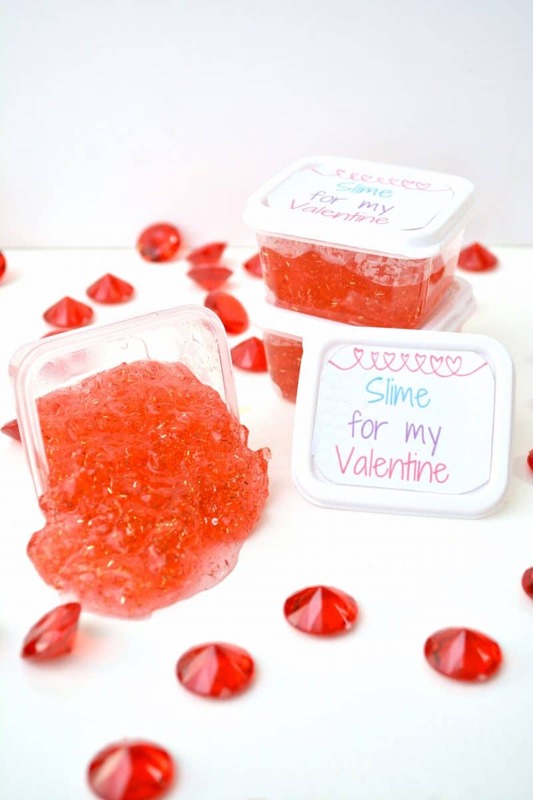 This “Slime for my Valentine” craft is so much fun for kids to make, and it’s also super affordable. 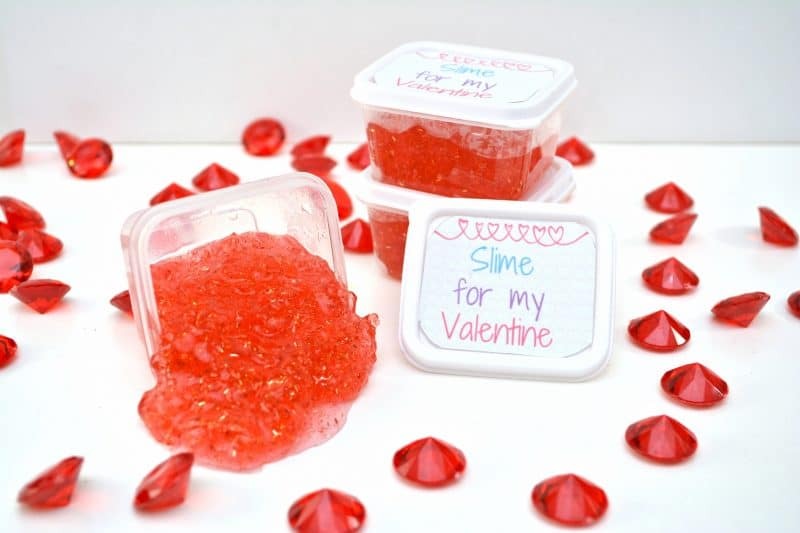 Your kids will be a big hit when they pass these fun slime Valentines out at school or at a Valentine’s Day party. 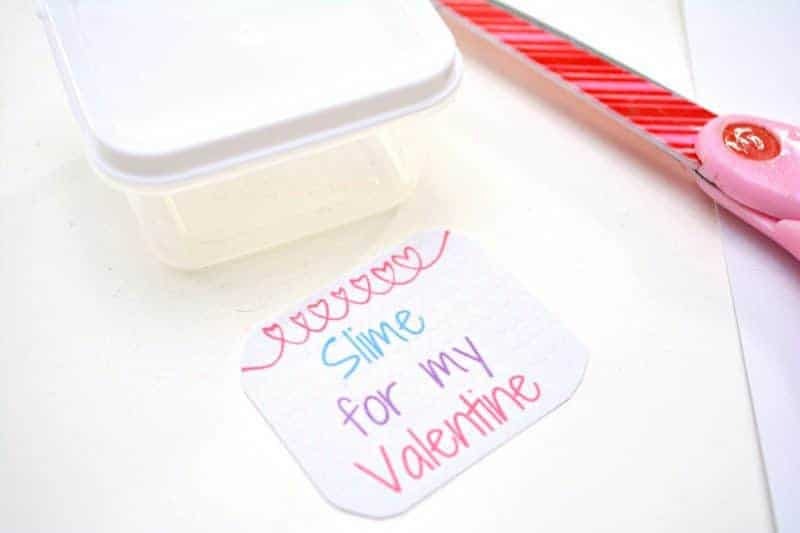 I’ve even included the fun “Slime for my Valentine” printable gift tags so that your kids can attach a cute label to each container of slime. If you homeschool your kids, this is still a fun craft to make. Kids will love having special slime that’s just for Valentine’s Day. Little boys and girls alike are going to love this fun DIY Valentine’s Day gift. Slime is something that everyone can enjoy. 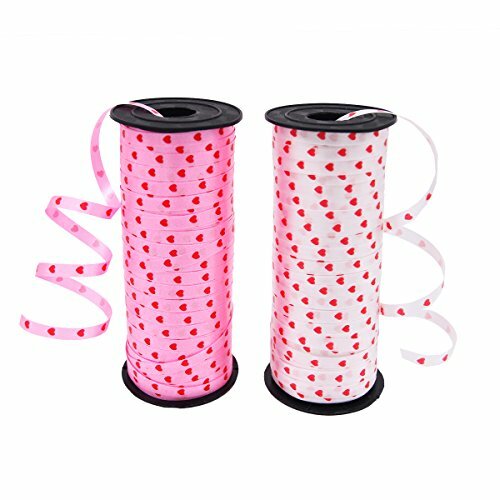 Best of all, you won’t break the bank making a container of Valentine slime for each child, even in the largest of classrooms. 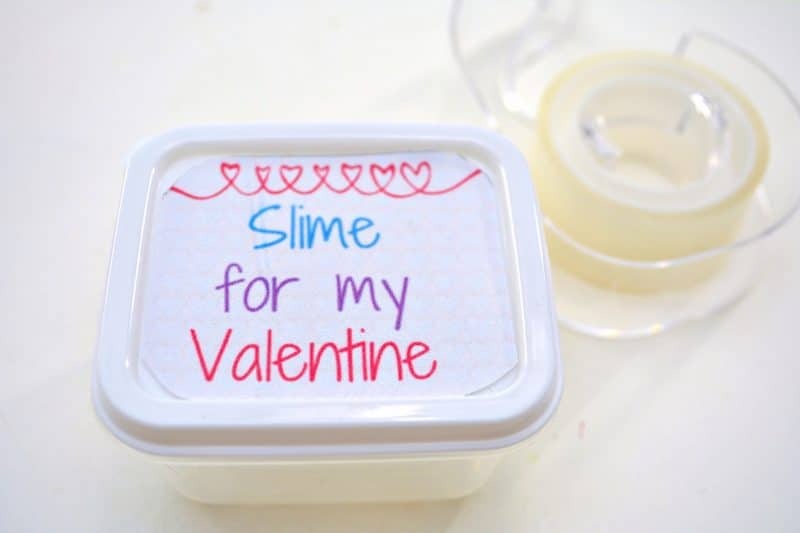 This Valentine slime recipe will make enough slime to fill about 5-6 small containers. You can double or even triple the recipe if needed to make even more Valentines. 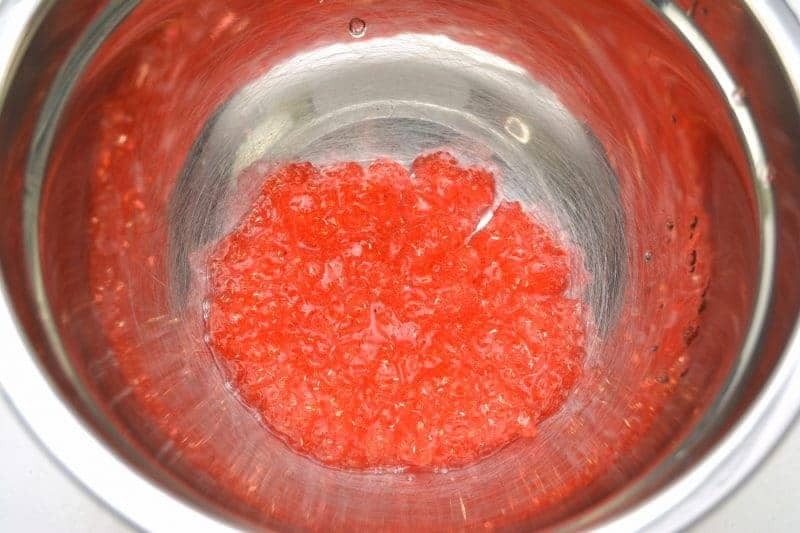 It is can easy to multiple this recipe to make as much Valentine's slime as you need. 1. 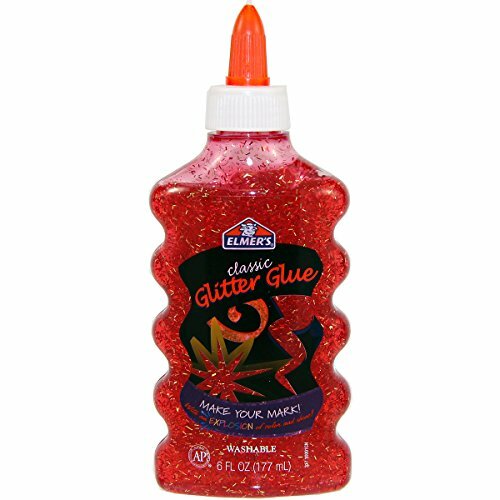 Start by combining 1 bottle of red glitter glue and ¾ cup of very warm water in a mixing bowl. Mix well until combined. 2. 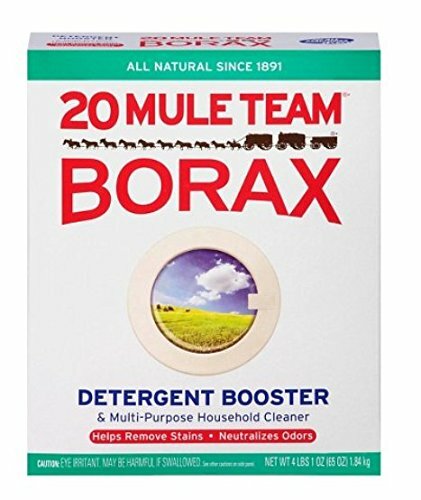 In a separate bowl, mix together 1 tsp of Borax and ⅔ of a cup of very warm water until the Borax is completely dissolved. 3. 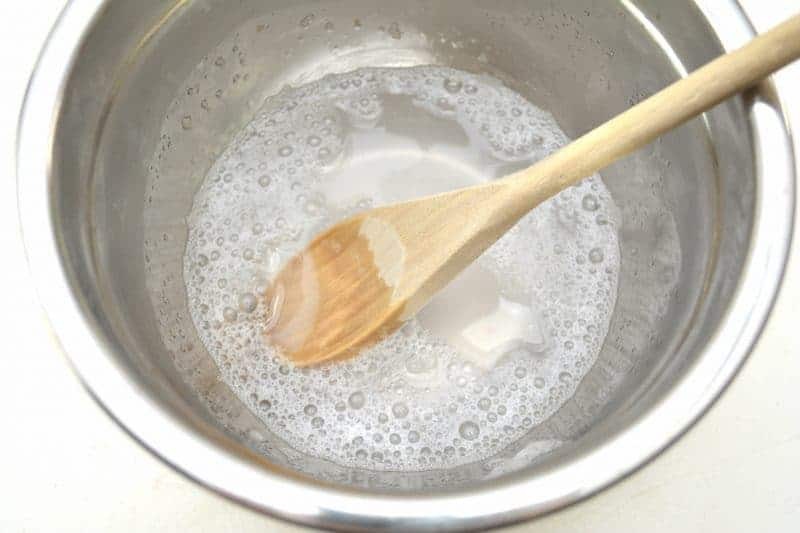 Combine the Borax mixture with the glue mixture and continue to mix until you reach a slime consistency. This will take some time, and you may even eventually want to start mixing and squeezing it with your hands to help it combine more. If there is excess water, you can pour it out at the end. 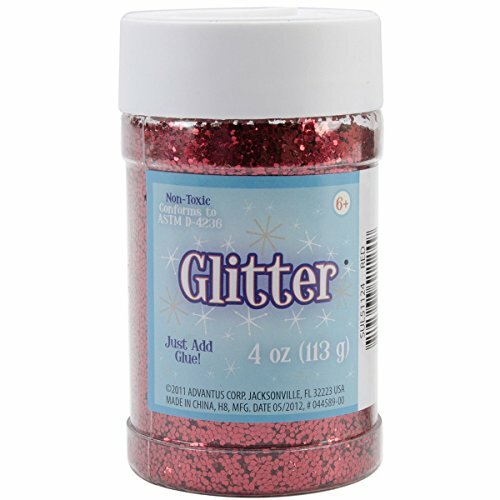 If desired, add additional glitter into the slime and mix together with hands. 4. Download “Slime for my Valentine” labels here, and print out. For your convenience the download has 10 labels per page. 5. 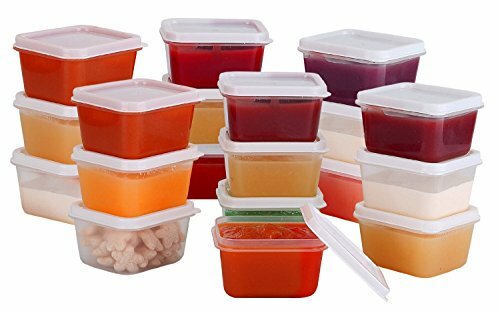 Trace the top of the lids to your containers and cut the labels out to sit inside the top of each small container. 6. 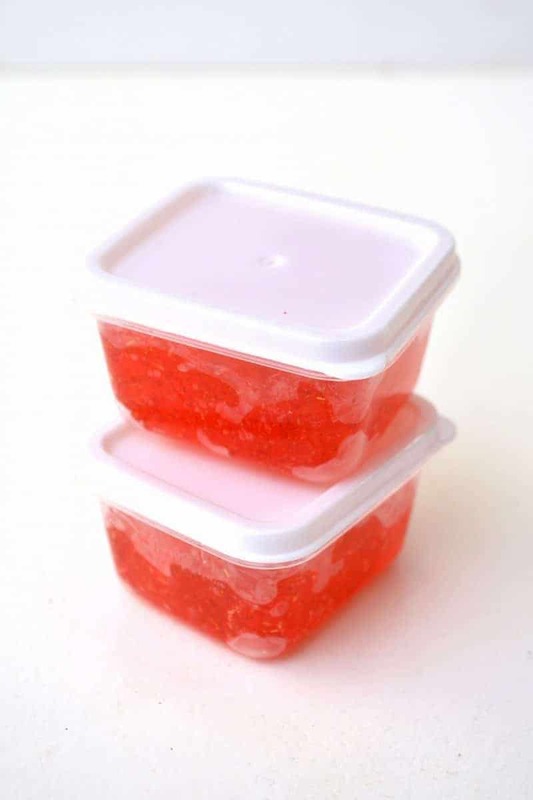 Place some slime into each container and close the lids. 7. 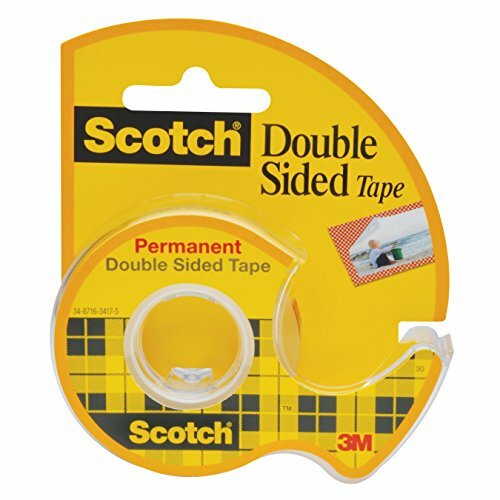 Use double sided tape to attach a label to the top of each lid. 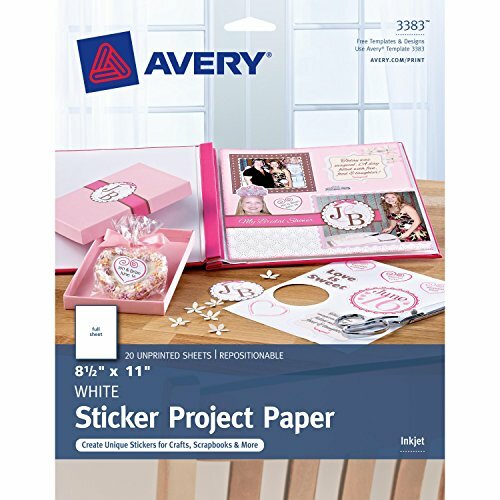 Or, simply peel and stick the labels on the lids if you used sticker paper. 8. Tie a ribbon around each container to add some additional flair (optional). I hope that you enjoy this fun DIY Valentine Slime craft and that you are your little ones have a very happy Valentine's Day! What better way to let a youngster know you care than to give them homemade slime!!! This is pretty darn cool, you don’t mind helping them play with it! Oh, what a cute Valentine idea! I will definitely show this to my niece and offer it as an option. Thanks for the Valentine’s Slime recipe! Such an adorable idea!! I think my son and I will do this for his class this year!! I love that it’s not food!! This is a great idea my 7 yr old and 5 yr old classes will love it. My niece would love to do this for Valentine’s Day this year! I can’t wait to try it! I’m always searching for slime projects to do with her. This is so cute! Wow.. This is going to be a great help with the kids. Thanks so much for this..
Been thinking about trying to make slime.looks fun and easy. How fun–my grandson would just love this! It looks like it would be pretty simple too. Thanks! I have such a hard time making slime but my kids just love it! Such a fun gift to give! I just hope all the parents like getting slime. This would make a great party favor.